Porridge, Its Just a wellness drink. It contains Cereals, Pulses and Legumes. Also, consume fruits, Vegetables and drink plenty of water. Take porridge, Its cheap and Its cheerfyl. Better to have a fruit than fruit juice, to reap the beneits of natural fibres. Fenugreek (Methi) is used as a herb (dried or fresh leaves), spice (seeds), and vegetable (fresh leaves, sprouts, and microgreens). 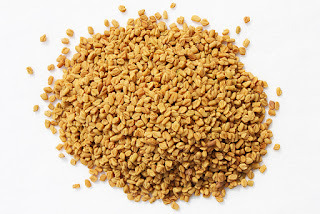 The taste and odour of fenugreek resemble maple syrup, and it has been used to mask the taste of medicines. In foods, fenugreek is included as an ingredient in spice blends. It is also used as a flavoring agent in imitation maple syrup, foods, beverages, and tobacco. 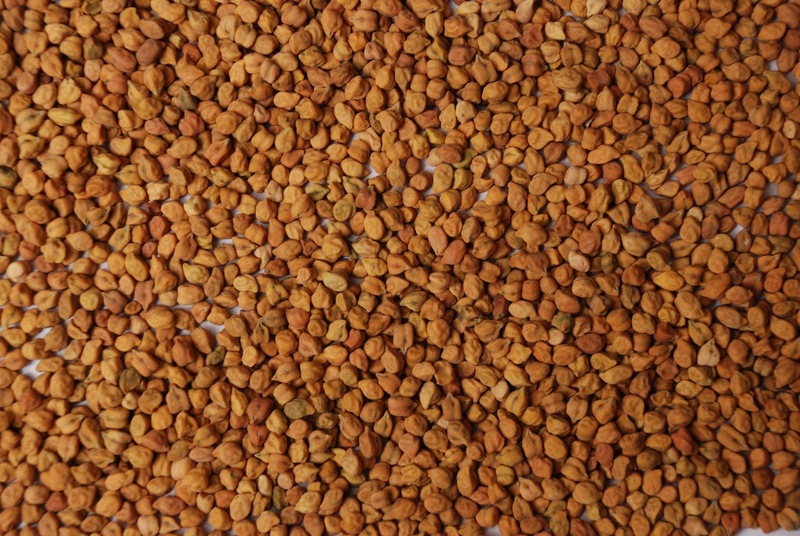 Bitter nature of fenugreek can be changed by roasting in the pan till golden brown color. 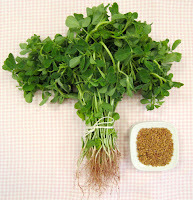 It has a huge list of benefits.
. Fenugreek is used for digestive problems such as loss of appetite, upset stomach, constipation, and inflammation of the stomach (gastritis).
. Fenugreek has been the focus of several studies concerning the treatment of diabetes and the prevention of breast cancer. Its ability to balance hormone levels aids in treating PMS and menopause. 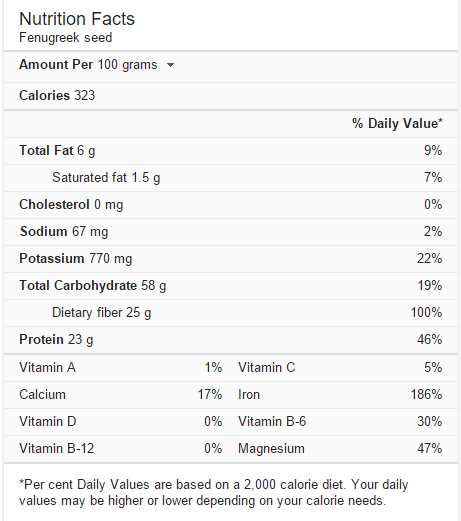 Its antioxidants slow ageing and help prevent disease.
. Vitamin C is present abundantly in Fenugreek. It is used as a preservative in pickles.
. Tea made of fenugreek, lemon juice and honey will reduce fever. Applying the paste of soaked fenugreek seeds or paste of fenugreek leaves in the head and allow it to stay for 15 to 20 minutes and take a bath, this will help hair to grow with strength and glow. This will also be used to reduce dandruff.
. Fenugreek has been used in short-term to boost milk supply and generally be discontinued after milk supply is increased, as long as a mother can regularly breastfeed or pump. It contains choline which aids the thinking process.
. 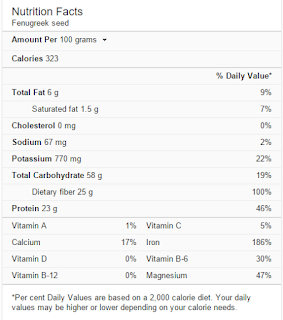 Pregnant women should avoid using excessive amounts of fenugreek. It may cause harm to the developing baby in the womb. Stomach ulcers, blood leaks into the blood, if the bleeding because it may maximize the number of these patients with the use of fenugreek fine. Chickpea is a legume, also known as Bengal gram or channa. They are divided in two types Desi and Kabuli. Chickpea is a legume, also known as Bengal gram or channa. They are divided in two types Desi and Kabuli. The classification is based on seed size, color, and the thickness and shape of the seed coat. Desi types tend to be smaller, angular seeds with thick seed coats that range in color from light tan and speckled to solid black. 'Desi' chickpeas have a markedly higher fibre content than other varieties, hence a very low glycemic index, which may make them suitable for people with blood sugar problems. The 'Desi' type is used to make chana dal, which is a split chickpea with the skin removed. 'Kabuli' is lighter-coloured, larger, and with a smoother coat. The name means "from Kabul" in Hindi and Urdu, and this variety was thought to come from Kabul, Afghanistan when it was introduced to India in the 18th century. It is called Kabuli chana (काबुली चणा) in Marathi. Its seeds are high in protein. It is one of the earliest cultivated legumes: 7,500-year-old remains have been found in the Middle East. Chickpeas are a nutrient-dense food, providing rich content (> 20% of the Daily Value, DV) of protein, dietary fibre, folate, and certain dietary minerals such as iron and phosphorus. 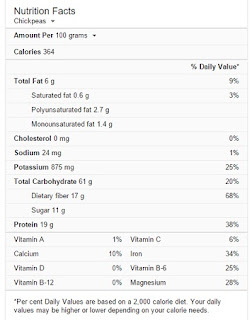 Thiamin, vitamin B6, magnesium, and zinc contents are moderate, providing 10-16% of the DV. Chickpeas have a protein digestibility corrected amino acid score of about 0.76, which is higher than many other legumes and cereals. According to WHO and UNFAO, proteins in cooked and germinated chickpeas are rich in essential amino acids. 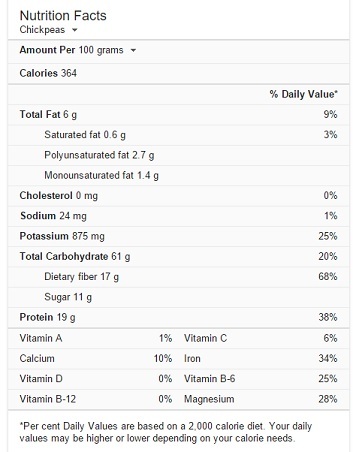 A 100-g serving of cooked chickpeas provides 164 kilocalories (690 kJ). Carbohydrates make up 68% of calories, most of which (84%) is starch, followed by total sugars and dietary fibre.Lipid content is 3%, 75% of which is unsaturated fatty acids for which linoleic acid comprises 43% of total fat. India is the world leader in chickpea (Bengal gram) production, and produces some 15 times as much as the second-largest producer, Australia. Between 80 and 90 percent of the world’s chickpea supply is from India.